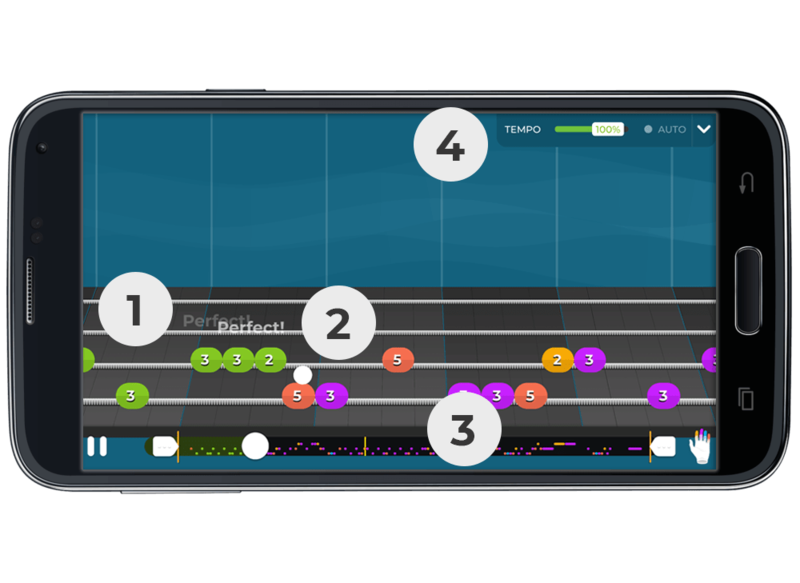 Bassists of any level can improve their playing with Yousician. Whether you’re a beginner hoping to pick up the basics or already advanced, our missions and exercises are perfect for developing a wide range of skills. Learn chords & triads, fretting, plucking, locking in, picking, pitch, grooving in style, and so much more! 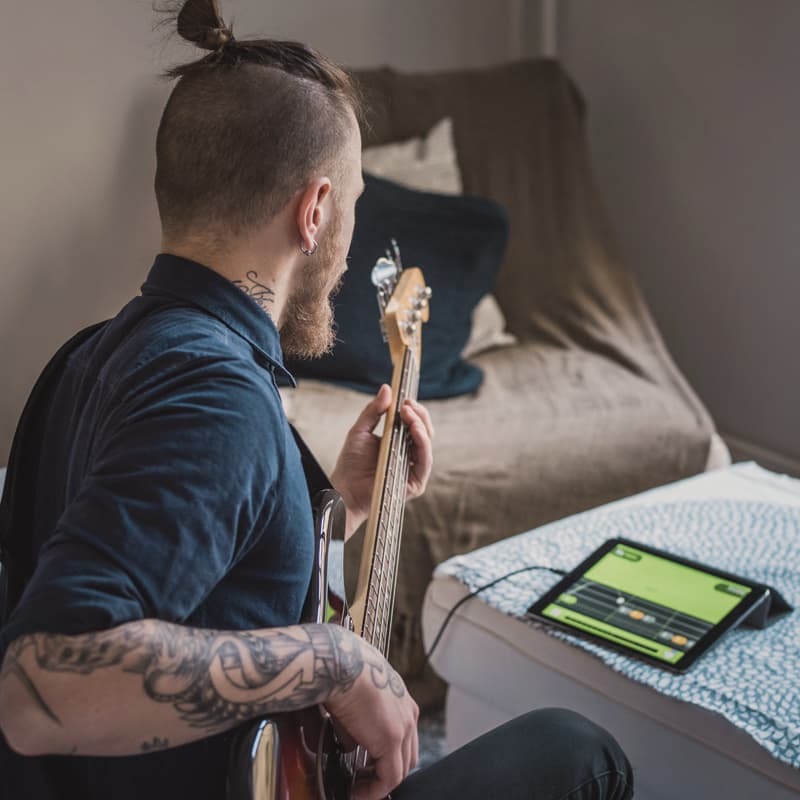 Our bassists are motivated by a huge inventory of videos and lessons, Weekly Challenges against existing users, and comprehensive progress tracking as you learn. You don’t need any additional cords or cables for your bass, just a desire to play the bass! If you need to get in tune, also check out our GuitarTuna app for iOS and Android. It’s the #1 tuning app available (for any string instrument), and has over 25 million users for a reason! WHAT DOES YOUSICIAN FOR BASS LOOK LIKE? Here you can see which string(s) and frets you're meant to play. In this example, you would play the E string (the lowest) on the 5th and then 3rd frets. Follow the bouncing ball to see when you should play a note. You'll get instant feedback on your timing and the quality of the note you play. You can adjust the speed at which the song plays to determine how fast or slow you'd like to play your part. Start slow to practice, or jump straight in at 120% speed! Unleash your inner bassist. Download for free and start playing! Yousician is a fun and rich learning environment for all skill levels. Available on iOS, Android and Desktop.